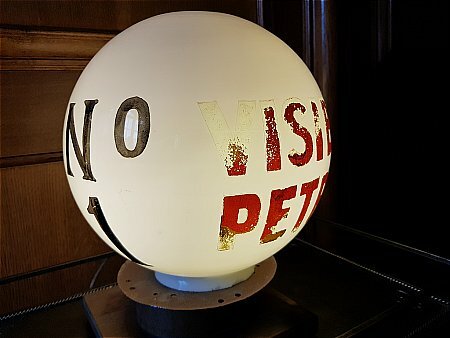 Enamel Signs | Petrol Pumps | Petroliana | Automobilia | No.1 VISIBLE PETROL GLOBE. Early rare but not sure of the brand. Probably Cleveland or Shell. Interesting early petrol globe.